The Scientific Need: We are poised on the brink of discovering the important processes that connect changes at the solar surface with features in the geospace environment and ultimately with climate variability. These connections are key to understanding complex planetary environments, and the general elements that enable planets to sustain life. Scientific breakthroughs in all these areas await advances in cyberinfrastructure that will allow the worldwide research community to access international data sets, distributed sensor networks, virtual observatories, advanced computational and visualization facilities, the most sophisticated Sun-to-Earth community models available, and to communicate with each other across discipline and national boundaries. No single organization is poised to make these breakthroughs, operate these instruments, construct these models, develop and maintain research support facilities. This is a worldwide endeavor with diverse participation and stakeholders. At issue is the ability to address the frontiers of system-level science. Why Now? The past decade has seen the creation of a remarkable new capability to observe conditions simultaneously in regions from Sun-to-Earth using combinations of worldwide space and ground-based observing platforms. 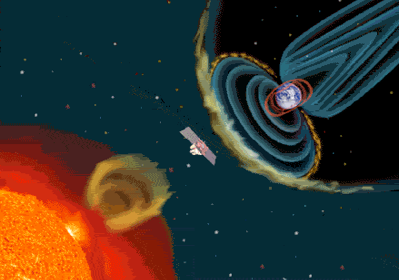 Simultaneously, new models of the solar dynamo that enable physics-based predictions of solar magnetic variability, suites of cutting-edge Sun-to-Earth coupled models, and "whole atmosphere" models that simulate tropospheric climate with linkages all the way to the upper atmosphere and space weather have become available along with the necessary advances in computer hardware and software. Open data policies and a developing system of virtual observatories are making diverse data sets widely available to the research community. The availability of data by itself, however, is not enough. For working activities - participants should visit: The CAWSES Wiki. CAWSES-II will add value to this effort by supporting the construction of a framework for sustaining international and interdisciplinary collaborations. This framework leverages the full potential for scientific discovery and learning inherent in past investments in instrumentation and facilities. CAWSES-II focuses coordination efforts on "grand challenge" questions that can only be addressed through interdisciplinary research and international collaboration. It supports the development of a virtual community that will produce the scientific breakthroughs enabled by advances in cyber infrastructure and in the process, will help to revolutionize the very way in which collaborative scientific research is done. 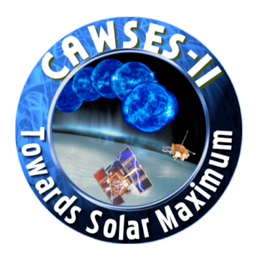 CAWSES-II has 6 task groups that address science and integrative activities to focus its activities. Leadership: Co-Directors: Dr. Joesph Davila - NASA/GSFC and Dr. Toshitaka Tsuda - Kyoto University.